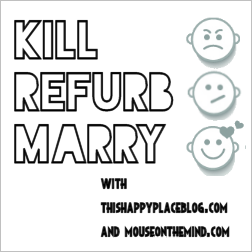 Kill Refurb Marry: December 2013 | What's the Point? I really wish the Tower of Terror didn't freak me out so much. 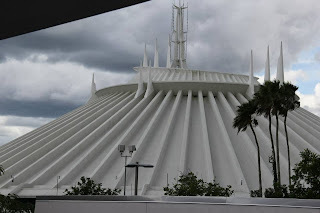 :) I picked Space Mountain at WDW as my refurb too. If they could make it like Disneyland's I would ride it everyday of my trip! I know Melissa! A lot of people feel the same way about ToT! Yes, Space really needs some help. It's hard to put a marquee attraction down for so long, but it really needs it! I am with Melissa down there... I wish ToT didn't freak me out so much too. I love everything about it but I am SO scared of falling now. Is this an I'm getting old kind of thing? It might be. It really might be. IT'S SO BEAUTIFUL THOUGH. So in agreement with your Kill and Refurb too. I didn't know you worked at SM! Don't change the background loop if you refurb it though. It's one of my favorites. 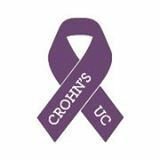 Thanks for doing this with us today! I do agree - the music is the best at Space. Every time I hear it on a Disney radio I get nostalgic. Thanks for hosting, this was so much fun! SO JEALOUS THAT YOU WORKED AT SPACE MOUNTAIN. I love the Tower of Terror a lot too. Like, so much. 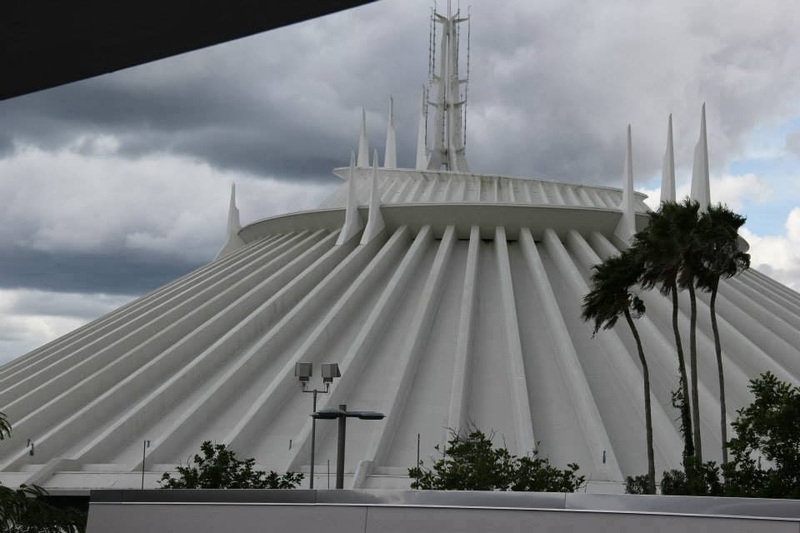 It would definitely be my top pick if Space Mountain didn't exist! It was by far the best experience of my life. Sigh. I love the Mountain. I miss the Mountain. It's really about as "classic Disney" as it gets. Guests still giggle and enjoy it as much now as they did in the 1970s. I just think it needs a little facelift! 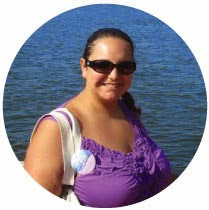 Thanks for stopping by Katherine! Oof you can have ToT. I'll let you refurb Space Mountain before my impending marriage to it. But don't touch that star tunnel music! Will do. Trust me I do NOT want to change the star tunnel music. I promise you that. The ride system itself needs an update. Thank you so much for stopping by. I am loving reading everyone's Kill, Refurb, Marry posts today! That's pretty cool that you worked at space... I kinda feel a little bad about it being my kill... but somebody had to do it. ToT is the best... I think we all want to marry it! Kill: Stitch's Great Escape - or whatever that abomination is in Tomorrowland that replaced my ever favorite Alien Encounter. I love Lilo and Stitch but he does NOT belong on that ride. Refurb: Soarin' - I heard rumors this is getting one soonish which makes me happy. But I really wish they'd change the video to something else. It's definitely one of those rides that loses its appeal over time b/c you already have each and every scene memorized. Marry: The Twilight Zone Tower of Terror - for all the reasons you said above Roe. And for me its more the pre-show and the whole elevator car going up and going out into the room experience that makes it my favorite ride. The 3 or 4 drops after is just the icing on the cake. BJ - You know I'm always up for "killing" Stitch's Great Escape, but I don't think it can be classified as a thrill ride! Agreed that Soarin' needs a refurb. Good call. I think that Soarin' needs a new projector first and foremost. It would be great (and probably not so expensive) to do a new film too. Glad you agree on ToT! This was really a great hop Alex! Don't feel bad about it being your kill. We're all entitled to our opinions. And I know that it needs a facelift! ToT is usually a fave for everyone who isn't terrified of it! Thanks for stopping by! I'm with you on Space Mountain! 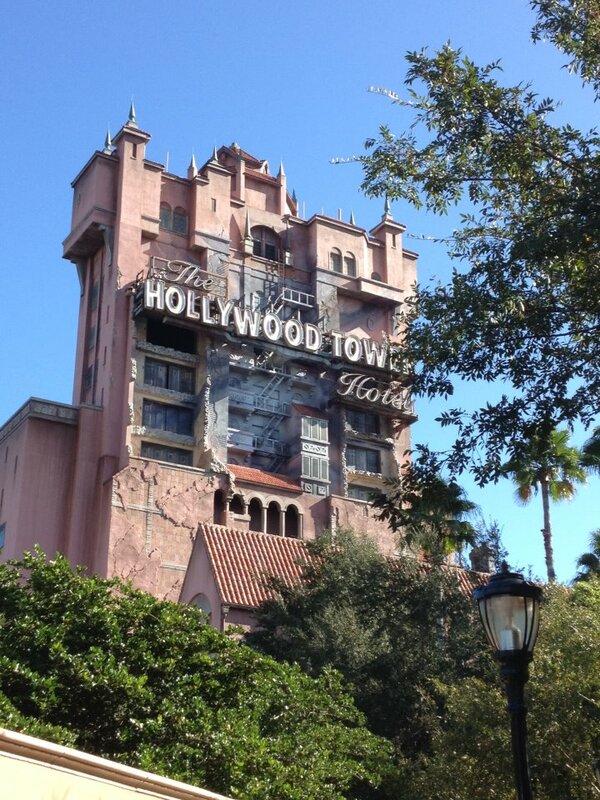 I'm not quite there on Tower of Terror, though. I'm really glad I experienced it- once. 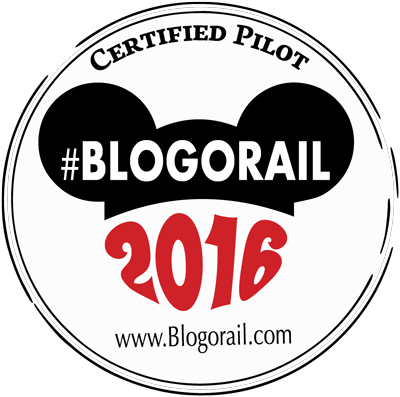 I will likely not be going back, despite my deep love of the theme, the grounds, the queue. The drops made me feel like my eyes were being popped out of my head. Dwight - I agree like your refurb and marry, but we had to pick thrill rides. As much as I love CoP, I don't think I can classify it as a thrill ride! I would also argue it can use a refurb. Thank you for stopping by! It's true! It forces you to truly make your mind up!